It is a shame how quickly the time flies! Drudgery n burning oil at midnight! Ha ha ... Ramya.. I too feel the same way! Always miss travels:) Will plan around New Year again, Zephyr! OO so u dabble in poetry too! gud one. 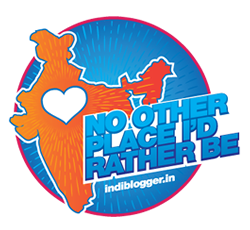 quite what an avid traveller wud feel! There is indeed something about the new and the fun of exploring ! I scribble poetry sometimes, Jerly and true no greater fun than exploring a new place! I know I can't go for a holiday but now I am craving for one, like never before! Such is the impact of this wonderful poetry! A hu...ge thanks Akanksha for that very kind comment:) Wish you have a nice holiday soon! I am gearing you up for your trip to Melbourne, soon! Have a great time Arti! Holiday itself is a delightful term! Nice poem! Thanks a lot Anupma for the nice comment! I need a holiday now .. Wish you have one soon, Bikram! I jsut wish my supervisor accepts the leaves I have applied for Sir.. Very nice poem on holiday! A big thanks for that lovely comment Shilpa! Wish you a very happy holiday soon, Puji and thanks for that nice comment! Thanks a lot Latha! Will plan around New Year time! so true!!! I need a holiday right now!! Thanks Francesca! Holidays are always welcome! Tempting description of a holiday-enough to stir a home bird like me. And sometimes after coming back you feel very tired with the prospect of catching up on the pending work :). Vacations are so good. Agree Rachna! Actually I feel after a vacation you need another break to come back in the groove! I have been dying to grab a brief sojourn from the usual monotony. Hope the day comes soon. I have got the holiday Sir and I am already enjoying it... Smiling ear to ear! What a lovely way to describe a vacation, I share your wonderful thoughts about them...love discovering new cultures, people and food. And sadly it does fly by too fast! I have to ask Rahul...I know you've been to many exciting places, but where is your dream destination? Aw I really hope that you and your family can make a trip here, I know will love it! Ah - lovely words and shot! Hurray for holidays. Thanks LadyFi for that comment! Travel is such a stress buster and you know it Sir. Beautiful poem and souvenirs and photos are indeed the memories we cherish. So true Saru! Every time I come back from holiday, the mind wanders to yet another destination:) Thanks a lot! 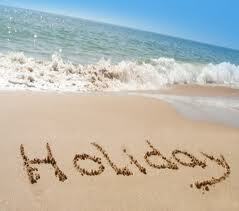 Barring a few , I think evetryone looks forward to a holiday:) A big thanks! I want to go on a holiday right now! Hmmmm ... beautiful words! Thanks a lot Krishna! Wishing you a happy Diwali too! A excited traveller I am, so I can very very well strike a chord with this post!!! Thank you for that beautiful comment Kappu! So nicely said about a traveller. Short and sweet! But it sums it all up Rahul! Oh Boy! I want a holiday now! Hmm! Thanks for that sweet comment Jayashree:) Happy Diwali! Thanks a lot Harman! Wish you and family a very joyous Diwali! Thank You Divya:) I know you feel the same way when it comes to holidays:) Have lots of fun on this festive season! Your absence and sudden disappearance was intriguing! You came back with a bang right on Diwali and it is good to see this lovely remark:) Hope to see you around! That's a wonderful way to describe a holiday!! Hope you had a lot of fun in yours! Lovely post, Rahul. I used to fly with Air India so travel, to me, is work. I still like travelling but hate the packing, the documentation, securing our home etc. That didn't make me popular with the rest of my family but now the kids can (and do) travel on their own and I try and indulge my hubby's travel bug sometimes. What an excellent capture of a holiday!!! SERIOUSLY- you have the exact thoughts which I would have on my holiday. I was just looking over my pictures of a recent holiday and then I read this- it put such a smile on my face. Great to read you again!!!! A big thanks Zuzana for those very kind words! I had my share of fun recently! Hi Rahul, good to hear from you! Hope you've had a wonderful and festive Diwali! A huge thanks for following my blog! Am happy you liked!